Does XR meet the Requirements? In December 2017, within a month of Facebook’s open-source announcement of Open/R, we released an integration of Open/R with IOS-XR. With the model-driven Service Layer APIs and application hosting capabilities, IOS-XR provided a pretty easy ride. 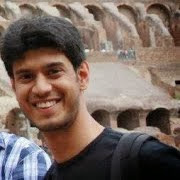 The code for this integration is on Github (https://github.com/akshshar/openr-xr) and is going through iterations and reviews before a pull request is sent out to the core code at https://github.com/facebook/openr/. If you’d like to see this demo live and have a chat, then catch us at the Cisco Booth at Beer’n’Gear at Nanog72 in Atlanta on Tuesday,20th Feb,2018 from 6pm to 8pm. This blog will dive deeper into the demo as well as the integration points in code, so hopefully it is useful for folks starting off with open/R. As part of this blog series titled “XR’s journey to the Web”, I intend to candidly present the journey we have undertaken with the IOS-XR software stack since 2014. In line with the ethos of xrdocs, expect this series to be highly technical and heavily focused on showcasing how IOS-XR integrates with community tools and open-source software innovations - where does it excel? where can it get better? and what needs to be done to help it get better? As an allegory, I often refer back to the famous Chinese folklore: “Journey to the west” - a 16th Century Chinese novel by Wu Cheng-en. Through an extended account, it chronicles the story of Xuanzang in the 6th Century AD and his journey to India (the “west”) to seek out and bring back the teachings of Buddhism to a primarily Confucian China. As Buddhism began to spread through the east, a new movement began in China that sought to marry the practical Confucian core with the new intellectual and spiritual expectations arising out of Buddhism. This movement came to be known as neo-confucianism. I liken the changes that have happened to IOS-XR over the last few years to a similar creative reinterpretation of the core concepts of traditional networking. As the “Web” players (Google, Facebook, Apple, Amazon etc.) began to showcase how better efficiencies may be achieved in network operations through automation at every stage of deployment, and through the ability to “run with scissors” - it became clear that the traditional core of network stacks would have to evolve to meet the operational demands of these highly automated networks. Linux-ization of the Stack: IOS-XR moved from 32-bit QNX to 64-bit Linux to enable an environment for scripting, hosting applications and integration with tools in the DevOps space such as Ansible, Puppet, Docker, etc. Streaming Telemetry: Real-time push-based Streaming Telemetry for monitoring, alerts and remediation triggers/events, outperforming SNMP in every department - scale, ease-of-use, cadence etc. Model Driven APIs at every layer of the stack: This includes Yang Models at the Manageability layer and tools to generate bindings in various languages. Further,in September 2017, we took it a step further - we introduced model driven APIs over gRPC called the Service Layer APIs that provide programmatic access to the IOS-XR RIB, label switch database and notifications for interface and BFD events. This blog series will focus on how a combination of the above enhancements should allow us to integrate with a wide variety of tools and software stacks in the networking community and let our users run with scissors when needed. In this blog in particular, we shall explore how IOS-XR’s service layer APIs and application hosting capabilities can be leveraged to host and integrate Open/R as an IGP on IOS-XR. We will also touch upon further enhancements to Open/R that may be possible with Service Layer APIs serving as the platform hooks to IOS-XR. In November 2017, Facebook open sourced Open/R. As the Github description suggests, it is, and I quote, a “Distributed platform for building autonomic network functions”. Pretty heavy description, so let’s distill it a bit. It is laid out rather well and describes all the components of the code individually - their purpose, internal interactions, et al. At the outset, the architecture is reminiscent of traditional link state routing protocols like IS-IS - what with the initial Hellos used to identify neighbors (similar to IS-IS Hello Packets), establishment of adjacencies using 0MQ messages (similar to Link State PDUs (LSPs) in IS-IS) and the use of Djikstra’s algorithm for SPF computations. It also borrows ideas from other protocols like BGP (the concept of originatorIDs for loop prevention, à la AS-PATH handling) and spanning tree for flood optimization of messages. KV-Store: A Key-Value store that serves as a common database for the entire stack. Peering Messages to other routers are sent out over 0MQ channels. The internal communication with other components such as the Prefix Manager, Decision module or the link monitor module are handled by sending and receiving thrift objects on sockets through an abstracted KvStoreClient. Consequently, integrations with existing stacks and platforms can cleanly occur at the lower platform layer abstracted through the modeled thrift interface. Newer functionalities that leverage the underlying platform’s capabilities (like MPLS, BFD, SR etc.) can extend an existing or implement a new thrift model and leverage the KVstore to store data locally and share information with other routers easily. I believe the best place to start is of course the documentation on Github I refer to above. However, not enough importance can be placed on the need to read through the structure of the code to understand the important touch points in each module. The developers at Facebook graciously released a netlink platform integration for Open/R to enable the community to take a look at how things tie in internally. NetlinkSystemHandler: implements the SystemService interface again described in the thrift IDL here: https://github.com/facebook/openr/blob/master/openr/if/Platform.thrift to detect interfaces and IPv6 neighbors in the kernel that may be used to send hellos and peering messages to neighbors. How can one power through the all the concepts and get Open/R running? The Open/R Github repo gives a nod to an emulator that might become available soon (https://github.com/facebook/openr/blob/master/openr/docs/Emulator.md). However, that doesn’t prevent us from using standard techniques such as Vagrant to bring up an environment to play with, right away. The switch in the middle is a nice-to-have. It allows you to capture packets as the two nodes rtr1 and rtr2 exchange hellos and peering messages. Pre-Built: A pre-built ubuntu-16.04 vagrant box with open/R already built and installed has been published on vagrantcloud here. The box is built using the hash: a14e09abc0fcbe5835b45f549d48c09935d17f87 of https://github.com/akshshar/openr-xr as of April 5, 2018. This box is referenced in the Vagrantfile at the root of the git repo. Latest Build: If you’d like to build the boxes from scratch, drop into the vagrant_build_latest/ folder before issuing a vagrant up. If you’re behind a proxy, just populate the <git repo directory>/scripts/http_proxy <git repo directory>/scripts/https_proxy files before issuing a vagrant up. Once the devices are up, issue a vagrant ssh rtr1 and vagrant ssh rtr2 in separate terminals and start open/R (The run scripts added to each node will automatically detect the interfaces and start discovering each other). Hello Messages: The hello messages are sent to UDP port 6666 to the All-Nodes IPv6 Multicast address ff02::1 and source IP = Link local IPv6 address of node. These messages are used to discover neighbors and learn their link local IPv6 addresses. Note: Keep the run_openr_rtrx.sh scripts running and open up a new terminal to ssh into rtr1 before invoking the breeze cli. Great! These outputs should give you a fair gist of how Open/R works as a link state routing protocol. Note: The route updates are exchanged by the routers frequently over the established adjacencies. So subsequent updates may modify the next hop entries (10.1.1.20 or 11.1.1.20 seen in the outputs above) based on the content of the latest update. The outputs above were captured when the latest route updates were received for both the discovered next hop interfaces. API to get and set Routes: On Linux, this API is Netlink, but it can be replaced with any viable API that the networking stack on the platform offers. In September 2017, we introduced Service Layer APIs - a highly performant and model driven API into the network infrastructure layer (RIB, label switch database, interface and BFD events) over gRPC. This API is ideal for platform integration with Open/R and as we’ll see later,achieves great performance due to its route batching capability. This API is available on IOS-XR releases post 6.1.2. Ability to host applications: The Network OS must have the capability to host Linux applications either natively or as a container (docker/lxc). With IOS-XR 6.1.2+, the capability to host linux applications on the box with docker was introduced. In addition, applications can be hosted within LXC containers or even natively (if compiled for WRL7). Further, use of network namespaces mapped to IOS-XR vrfs was introduced in release 6.2.2+, allowing isolation of traffic in the kernel based on vrf configuration. Ability to exchange Hellos and Peering Messages: Open/R should be able to run unmodified on a platform and send its UDP hellos to port 6666 and ff02::1 and send/receive TCP peering messages using link local IPv6 addresses of neighbors. Packet/IO capabilities have existed in IOS-XR since 6.0.0+, allowing applications to bind to XR interfaces in the kernel, open up the TCP/UDP ports, transmit/receive TCP/UDP traffic along with exception traffic such as icmp, icmpv6, IPv6 multicast etc. While the primary requirements were met right away, I did find an issue with dynamic IPv6 neighbor discovery in the kernel. Neighbor Solicitation messages generated in the kernel were unable to exit the box. This issue is being looked at as part of the packet/IO plumbing code that connects the linux kernel with the XR networking stack on the box. Enable “ipv6 nd ra-unicast” under the XR interfaces using XR CLI or Yang model. This enables neighbors to be reachable without explicit traffic being originated in XR. Set up a client (currently separate from the Open/R binary, running as a parallel process) that receives IPv6 neighbor table from XR periodically using Streaming Telemetry over gRPC and programs the kernel using Netlink. Open/R then works with the programmed neighbors in the kernel without any issues. By reacting to Streaming Telemetry data for IPv6 neighbors, the entries in the kernel are kept dynamic and in sync with network events like link flap or disabling IPv6 on interface. As part of the initial design of the packet/IO architecture, the presence of a default route through an interface (that connects the kernel to the XR networking stack) called “fwdintf” and consequently, an fe80::/64 route through fwdintf alone, solved most use cases where an application needed to send traffic through data ports over the internal fabric. However, as soon as we realized that Open/R utilizes TCP messages with link local IPv6 addresses of neighbors as the destination to establish adjacencies, it became obvious that we needed to allow fe80::/64 routes through all the exposed interfaces (Gig, TenGig, HundredGig etc.) in the kernel. This was a simple fix and an internal bug was filed,resolved and the patch is utilized in the integration that you see below. This patch will be released for public consumption as a SMU on top of IOS-XR release 6.2.25 and will be integrated into 6.3.2. CMakelists.txt was extended to include grpc, protobuf and iosxrsl (IOS-XR Service Layer APIs compiled into a library) as target link libraries. Platform module was extended to include IosxrslFibHandler that implements the FibService interface described in the thrift IDL here: https://github.com/facebook/openr/blob/master/openr/if/Platform.thrift to handle incoming route batches from the Fib module. It may be noted that the NetlinkSystemHandler code remains untouched and continues to register and react to link and neighbor information from the kernel in IOS-XR for now. In the future, as the above figure indicates, I will experiment by replacing the netlink hooks for link information with the IOS-XR Service Layer RPC for Interface events and by replacing the netlink hooks for IPv6 neighbor information with IOS-XR Telemetry stream for IPv6 neighbors. The goal will be to remove dependencies on libnl and determine if any efficiencies are gained as a result. For now, there is no immediate need to replace the NetlinkSystemHandler functionality. IOS-XR Service Layer (iosxrsl) abstraction: The iosxrsl directory in the git repo implements all the necessary initialization techniques to connect to IOS-XR Service-layer over gRPC, handles async thread for the init channel used by service layer and creates the necessary abstractions for Route batch handling for IOS-XR RIB (Routing information Base), making it easy to implement the IosxrslFibHandler.cpp code explained above. Eventually, the IOS-XR Service Layer Interface API abstraction will also go here. Main.cpp: Extended to accept new parameters for IOS-XR Service Layer IP address and port (reachable IP address in IOS-XR and configured gRPC port for service-layer). Further, it starts a Fibthrift thread that intializes the gRPC connection to IOS-XR and registers against a set of VRFs (New) for IPv4 and IPv6 operations. Tip: When issuing the docker build command with this Dockerfile, make sure to use the –squash flag: docker build --squash -it openr . This is required to prevent the size of the docker image from spiraling out of control. As explained in an earlier section, ipv6 nd unicast-ra is required to keep neighbors alive in XR while Open/R initiates traffic in the linux kernel. The grpc configuration starts the gRPC server on XR and can be used to subscribe to Telemetry data (subscription IPv6 as shown in the configuration above) and service-layer configuration allows Service-Layer clients to connect over the same gRPC port. set up a private docker registry that is reachable from the NCS5500 router in question and push the docker image to that registry. Instead of bash as the entrypoint command for the docker instance, one can directly start openr using /root/run_openr_rtr1.sh > /root/openr_logs 2>&1. I’m using bash here for demonstration purposes. Note the capabilities: --cap-add=SYS_ADMIN and --cap-add=NET_ADMIN. Both of these are necessary to ensure changing into a mounted network namespace(vrf) is possible inside the container. On rtr2, the file /root/run_openr_rtr2.sh is slightly different. It leverages increment_ipv4_prefix.py as a route-scaling script to increase the number of routes advertized by rtr2 to rtr1. Here I’ll push a 1000 routes from rtr2 to rtr1 to test the amount of time Open/R on rtr1 takes to program XR RIB. As seen in the highlighted outputs, the total time taken to program 1002 route entries was about 63ms, giving us a route programming rate of about 16000 routes/second! Having said that, the FIB_DEBOUNCE rate is something to be looked at as I work through the code a bit more. So, there you go! There are 1002 service layer routes in the RIB, all thanks to Open/R acting as an IGP, learning routes from its neighbor and programming the IOS-XR RIB on the local box over gRPC. The two outputs in the previous section showcase an interesting juxtaposition: Open/R internally is designed to program a “FIB” on a given platform (such as the Linux Kernel using Netlink), but in the integration with IOS-XR described above, the integration point is shifted up to the “RIB”. At this level, notionally, Open/R is no longer the only network protocol stack on the system. It can instead co-exist with other stacks (This is precisely what I demonstrated in the demo at NFD17 where iBGP is configured using Loopback addresses that are advertised through Open/R running as an IGP). In this case, Open/R and XR-BGP coexist and the conflict resolution is handled at the RIB level using, you guessed it, Administrative Distance. By default, I have selected 99 as the Admin Distance for Open/R (in line with protocol ID used for Netlink integration by Facebook). Integration of Open/R with IOS-XR Service Layer APIs opens up a whole host of possibilities. This particular integration was centered around Route handling and hence the RIB API was sufficient. The Service Layer API however offers access to the Label Switch Database on IOS-XR so that a client may program label blocks and label-prefix mappings based on some application logic. This may be leveraged to provide label handling (MPLS) capabilities to Open/R. Further, Open/R currently hooks into interface events and IPv6 neighbor events. With the Service Layer API it is also possible to get a stream of BFD notifications, allowing faster response to link-down event of the neighbor, if the neighbor is connected through a LAN/switch. As Service Layer APIs evolve further and get SR-TE (label stack) capabilities and L2 capabilities, there is a stream of new possibilities for Open/R in the near future.